Photo by Amy DeMien Assembly line of Day for Girls Nashua Chapter members working together to make kits. Photo by Amy DeMien Cofounder Joni MacGarvey rolling liners to place into a kit. Photo by Amy DeMien Founders of Day for Girls Nashua NH Chapter Joni MacGarvey and Sue Bowkey holding up an assembled kit. 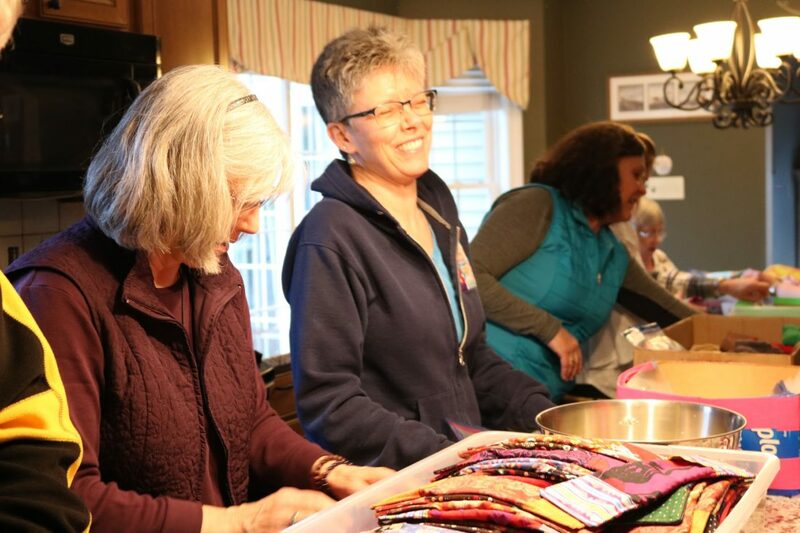 Photo by Amy DeMien Nashua Chapter members enjoying the process of assembling Day for Girls kits. NASHUA – For millions of women and girls around the world, access to feminine hygiene products is severely limited, forcing many to resort to using rags, mattress stuffing, banana leaves, feathers, and even cow dung to manage their menstruation. This puts their health at risk and prevents many girls from attending school. 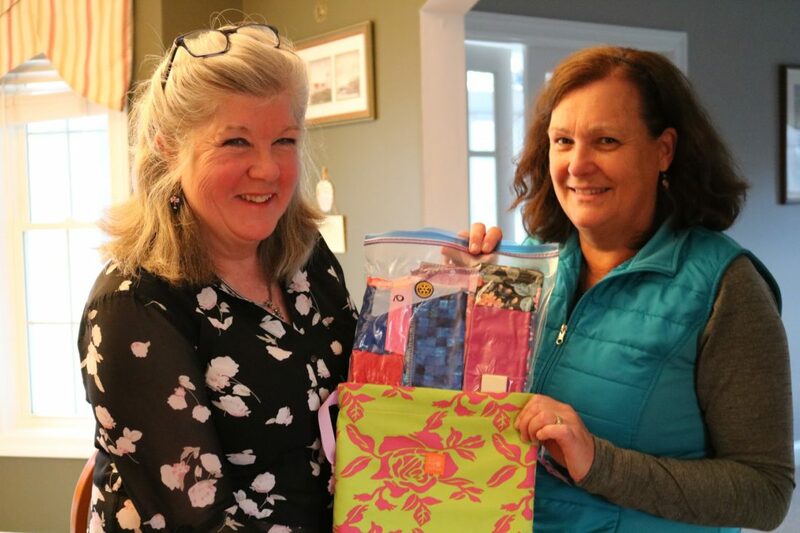 In response to the problem, Sue Bowker and Joni MacGarvey created the Day for Girls Nashua NH Chapter which sews and assembles menstruation kits for girls around the world without access to this necessity. They meet every third Wednesday with goal of providing safe, washable, and long-lasting hygiene materials along with vital health education. 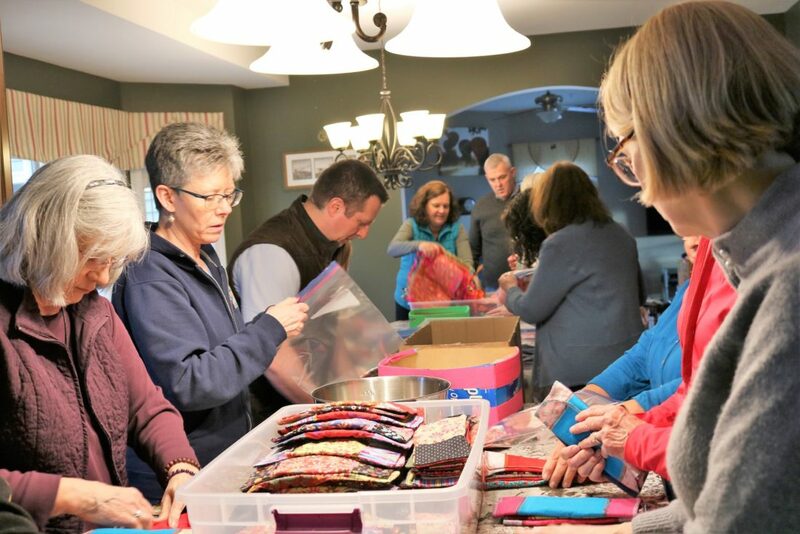 This Wednesday, nineteen Nashua Chapter members gathered at the Bowker household to assemble the kits. With all the items lined up along the kitchen counter ready for packing, they organized into an assembly line and went to work following instructions from Bowker. In each Ziploc bag, they placed two shields, eight pads, two pairs of underwear, one face cloth, a bar of soap, an instruction manual and an extra Ziploc bag for sanitation. The bags were then vacuum sealed and put in colorful drawstring bags sewn with three district patterns. All the elements, aside from the undergarments and washcloths, were handsewn by members in the previous weeks using fabrics and textiles of assorted patterns and colors from primary colored polka dots to psychedelic daisy prints to rainbow plaids. 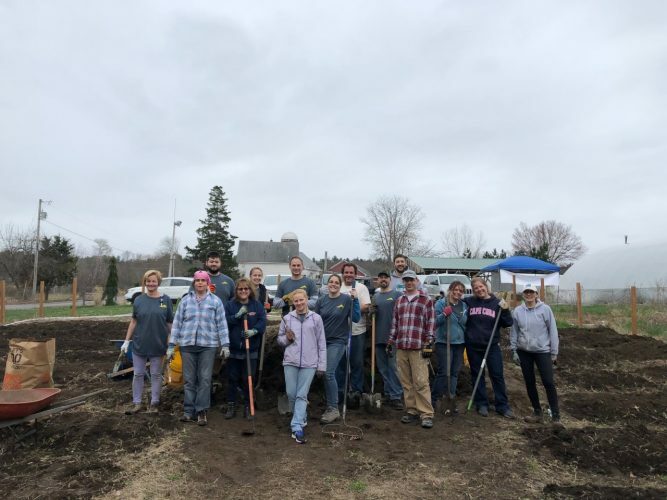 Though there are now over thirty members working within the Day for Girls Nashua chapter, Sue Bowker and MacGarvey have been committed to the cause even before the chapter’s conception. 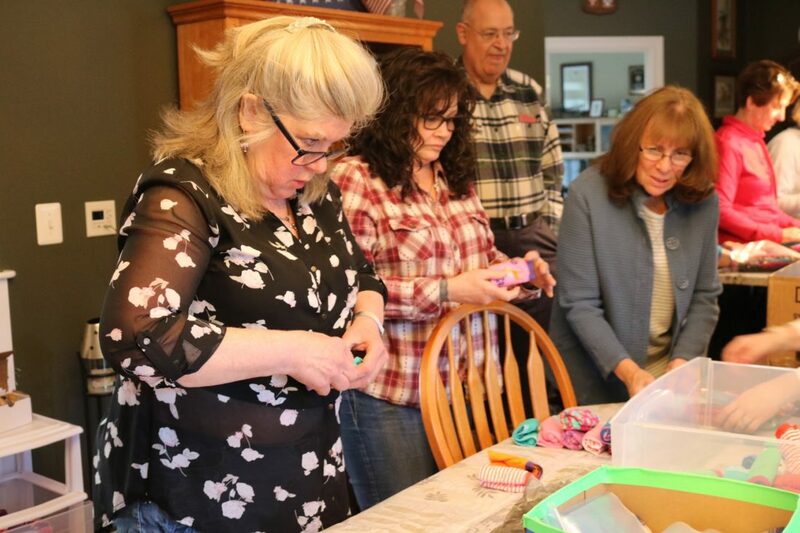 Over the course of four years, the Day for Girls Nashua Chapter has grown considerably and has since sent out 855 kits to Haiti, Namibia, Comeroon, South Africa, Jamaica, Costa Rica, Ethiopia and New York. 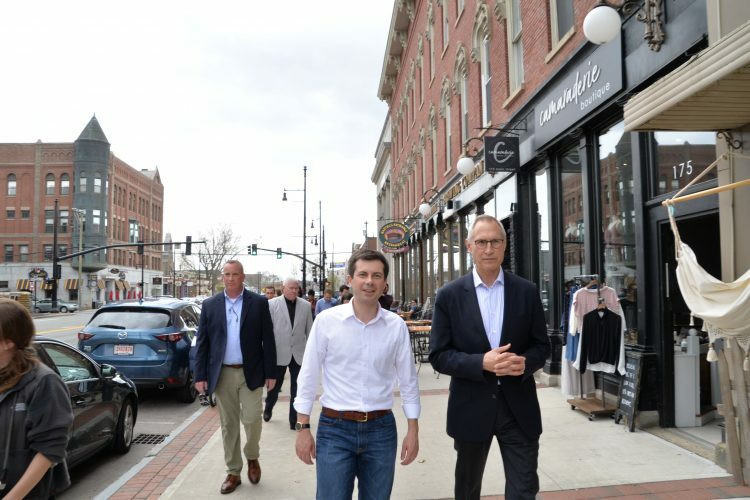 They have also provided money to set up two micro industries in Nepal and Africa with the support of Nashua Rotary. 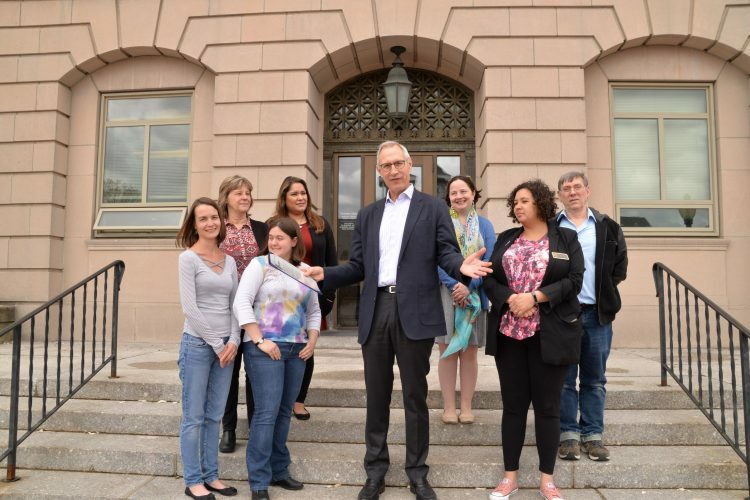 The Nashua Chapter joins thousands of other international Day for Girls teams working on creating solutions to the lack of feminine hygiene around the world and to break the taboos about menstruation.